Norman Doidge, M.D., is a psychiatrist, psychoanalyst, and New York Times bestselling author. He is on the Research Faculty at Columbia University’s Center for Psychoanalytic Training and Research, in New York, and on the faculty at the University of Toronto’s Department of Psychiatry. He and his work have been profiled and cited in, among others, The New York Times, The Wall Street Journal, Newsweek, International Herald Tribune, The Washington Post, Scientific American Mind, Melbourne Age, The Guardian, The Harvard Review of Psychiatry, Psychology Today, O The Oprah Magazine, and the National Review. 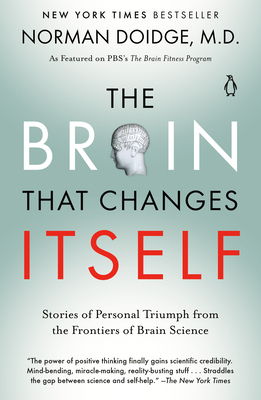 “An eloquently written book about the boundless potential of the human brain.